Anton Ger, a businessman previously under criminal investigation for money laundering activities, has stated that he sought the help of former interior minister Andres Anvelt (SDE) over a lengthy period whilst he was under investigation, adding Mr Anvelt had not been involved in any illegal activities. Mr Anvelt, who stepped down as minister late in 2018 due to ill health, has faced charges in the media this week that the real reason for his resignation was his links with Mr Ger, claims strenuously denied by Mr Anvelt. Mr Ger said that the article making the claims, which appeared in weekly Eesti Ekspress, were not true. ''He wasn't involved in any money laundering. He didn't quite offer me help either, I asked him for it,'' Mr Ger told daily Õhtuleht. ''Then when I asked what to do, he recommended I turn to the Internal Security Service (ISS),'' Mr Ger went on. Mr Ger also said that, having had issues with the Police and Border Guard Board (PPA) money laundering bureau, he did indeed approach the ISS. The time-frame in question is thought to be between 2010 and 2013. Mr Anvelt was not interior minister at that time. Speaking on the matter, Mr Anvelt also said that he had got tired of politics, an additional reason for quitting as well as health matters, pointing out that Mr Ger was not convicted of anything. ''I've always helped people. The same businessman who ... got a positive decision in the Supreme Court. 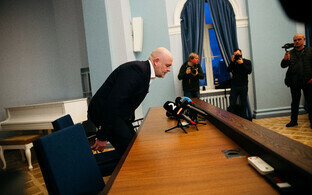 He was acquitted," said Mr Anvelt on ETV's Aktuaalne kaamera. "If things such as state secrets get made public, the result would be a criminal punishment. I have not leaked any state secrets. End of discussion," he said. The Eesti Ekspress piece examined Mr Anvelt's relationship with Mr Ger, publishing a photo of Mr Ger posing in Mr Anvelt's police uniform (Mr Anvelt is a former Police chief) at the latter's home, and a text message Mr Anvelt sent Mr Ger in 2010, during the money laundering investigation, stating that the Prosecutor's office had ruled in Mr Ger's favour. Mr Ger was under criminal investigation for money laundering to the tune of one billion Kroons (the Estonian currency prior to adopting the Euro in 2011), or €64 million. This would have been the largest money laundering conviction for an individual in Estonia. However, as stated, Mr Ger was acquitted. 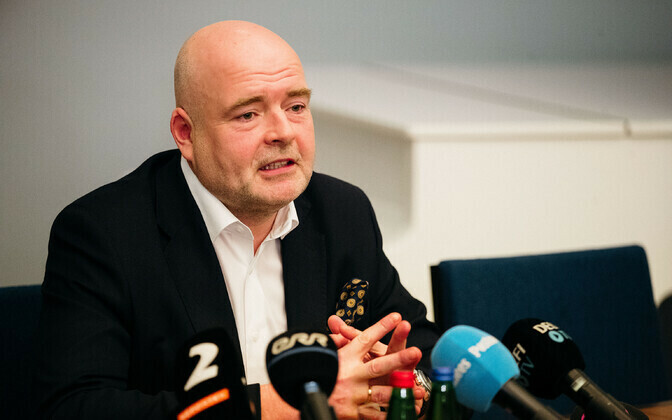 Mr Anvelt had earlier stated that the Eesti Ekspress piece was nothing more than revenge journalism connected with two individuals, Hubert Hirv and Pavel Gammer, who are accused of leading a criminal gang.